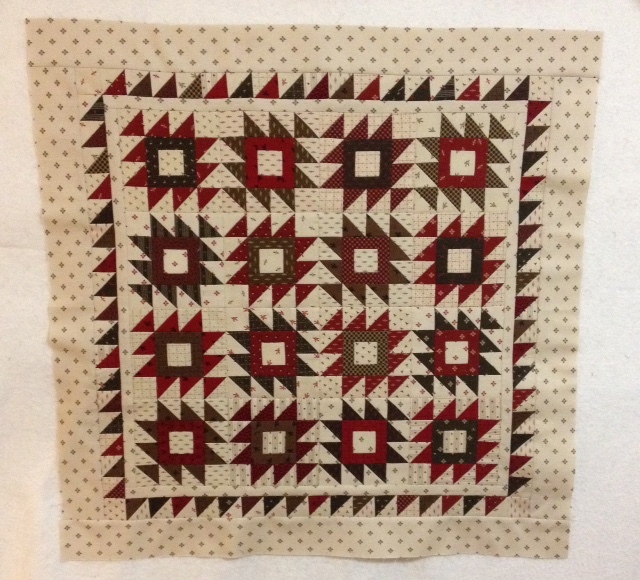 Quilting Adventures: Weekend moment of sanity ... part deux! Weekend moment of sanity ... part deux! Once the table was clean, it was time to get down to business ... start a new project! Well, you all know how I just love the Moda Frivols ... Seriously, you get to work with a new line of fabric for such a small investment. With the design wall empty, it was time to begin project Frivol 7 - Heart! Frivol 7 uses Lisa Bongeon fabric line Song Bird Gatherings! 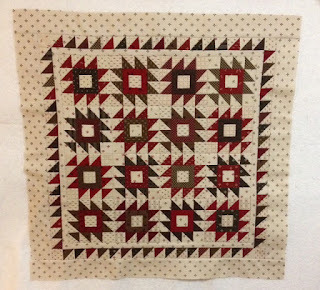 I just love how this little quilt turned out! Another flimsy added to the pile marked "Play date with Penelope!" Catch you later! Cheers! Another beautiful quilt and i know how beautiful they are in person, you do wonderful quilt work. I so love my `Frival` tins, have up to #8. as yet they are a display on my shelves :) Some lovely play time soon :) Love the look of your lovely quilt top. Happy Stitching. Well done, love the pattern and fabrics in this one. Monday .... started on a bad foot! Moment of insanity .... Part Quatre! Weekend moment of sanity .... part trois! Weekend moment of sanity - part un!